To understand the history of Brazilian Jiu-Jitsu, we first must look to the development of traditional Japanese Jujitsu "soft art" to Judo. Like other "soft art" founders such as Sokaku Takeda (Aiki-Jujitsu) , Choi, Yong Sul (Hapkido) and Morihei Ueshiba (Aikido) who did a tremendous amount in the promotion of their respected systems, Jigoro Kano, was the man who founded and promoted Judo. Professor Kano and Sokaku Takeda were good friends and they met each other often in Tokyo. Kano studied multiple martial art systems and created the Kodokan Judo as a method of physical education whilst Sokaku Takeda practiced martial arts for self defence. The two had a mutual friend called Shiro Saigo who was the adopted son Tanomo Saigo, the teacher of Sokaku Takeda. Shiro played a leading role in popularising the Kodokan and was the inspiration for the hero in the popular martial arts movie Sanshiro Sugata 1943. Jigoro Kano began studying the Jujitsu system of the Tenshin Shinyo Ryu in 1877 (a system known for its grappling skills) where he quickly became fascinated and fell in love with the art, so much so he demonstrated Jujitsu for US President Ulysses Grant in 1879. 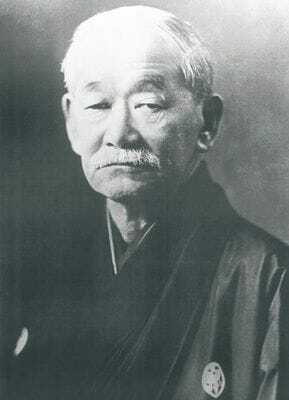 Professor Jigoro Kano "Founder of Judo"
Seeking as much knowledge as possible he went on to study Kito Ryu Jujitsu. This system specialised in throwing techniques, practiced in kata by a method known as Ran Otoru, meaning to take free action. Kano adopted this training method (known today as Randori) into his new system which stressed the practice of safe techniques. Kano did not stop there, he continued to research various systems and methods throughout his life such as the Seikiguchi Ryu (a system influenced by Sumo Wrestling) as well as Seigo Ryu (weapon system). Kano truly loved Jujitsu and saw it as a national treasure, however he also feared that its disorganised and dangerous methods of training would lead to its extinction. Kano thus set about to create a new method which would in essence preserve the important principles, adapting them for safe use in order to serve a sporting objective. He modified and adapted the throwing techniques of Kito Ryu with the choking, joint locking and pinning techniques of Tenshin Shinyo Ryu in a manner which enabled them to be applied in free practice. He also kept the practice of Kata which were the backbone of most classical systems. The Kodokan was founded in 1882. Kano's new system was not without obstacles however, and many of the old line classical systems held back no criticism. This criticism was largely silenced by a competition in 1886 between his Kodokan Judo School and that of the Yoshin Ryu Jujitsu organised by the Tokyo police department. Kano's school won twelve victories, one draw and only two losses out of fifteen matches. This event paved the way for acceptance of the Kodokan Judo and was eventually adapted into Japanese public school instruction as well as various law enforcement and military academies. One of Kano's greatest legacies was his adoption of uniforms for practice, the ranking (Kyu (level)/Dan (degree) system), a belt system (white to black belt) and development of systematised teaching methods. So successful were his innovations, that they were adopted throughout most modern Japanese martial arts (Jujitsu, Daito Ryu, Kendo, Kyudo, Karate, etc.) as well as many other systems around the world. The other great innovation of Judo was the standardisation of techniques that could be safely practiced against others, and in competition. As a result, the techniques themselves became highly refined and the continued hard practice allowed practitioners to develop a level of personal skill and reflexes difficult to achieve with former Jujitsu arts which could be dangerous if practiced at full speed and power. Kano's efforts to reform Jujitsu may have been inspired by an earlier and similar transition that happened to Sumo wrestling. In Edo, (present day Tokyo) Sumo had by the mid-1600s degenerated from ceremonial contests to rough and tumble brawls in tournaments and street corner bouts. To fix these problems the government briefly outlawed the contests in the mid-1600's, and they were only allowed again when an elaborate set of rules and regulations to reduce the violence were developed. 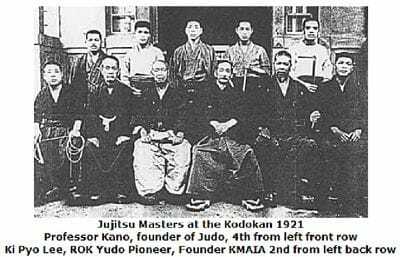 Kodokan Judo reached the Korean peninsula in the early 20th century during Japanese occupation and was pronounced "Yudo" to suit Koreans. Professor Ki Pyo Lee (pictured right) on instruction from Kano formed the Republic of Korea Yudo Association (ROKYA). The ROKYA remained loyal to what they were taught by Kano, even after the defeat of Japan in World War II. All martial art training halls in Japan were ordered closed, and when the Kodokan itself was allowed to re-open, it did so as a sport training centre. After liberation in Korea, the martial arts flourished, as ancient manuscripts were dug up from the ground in which they had been buried, hidden from the Japanese. Judo became very popular among the young and today South Korea is one of the strongest nations in the sport alongside Japan and Russia. It is largely as a result of the promotion of Judo that Jujitsu became known in western culture. 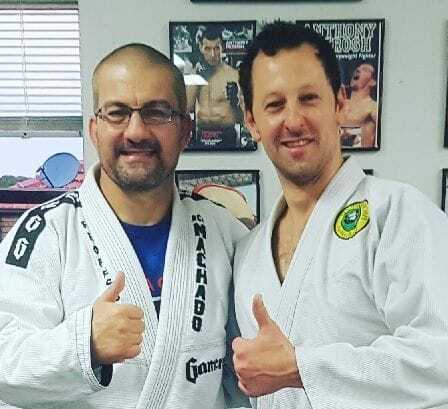 A great resurgence of interest in Jujitsu has recently occurred in the west due to the brilliant efforts and innovation of the Gracie family of Brazil. The art of Brazilian Jiu-Jitsu (BJJ) stems from Kodokan Judo and was inspired by the effort of a young traveling fighting instructor by the name of Mitsuyo Maeda. Maeda, travelled throughout the world earning a living by testing the effective application of the techniques he learned at the Kodokan. 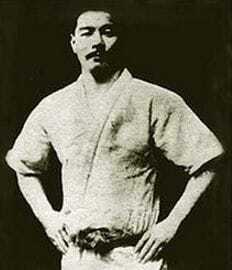 Maeda eventually settled in Brazil and became a promoter of Japanese emigration to Brazil. 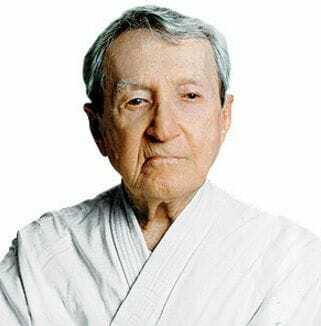 He taught notable students Luiz Franca, Donato Pires and Carlos Gracie. Nicknamed "Conde Koma" (Count Combat), Maeda won more than 2,000 professional fights in his career and his accomplishments led to him being called the "toughest man who ever lived". He is referred to as the father of Brazilian Jiu-Jitsu. Carlos Gracie and others made further innovations, particularly in the area of ground fighting. BJJ was promoted globally by notable practitioners Helio Gracie, Oswaldo Fadda and the Machado brothers. 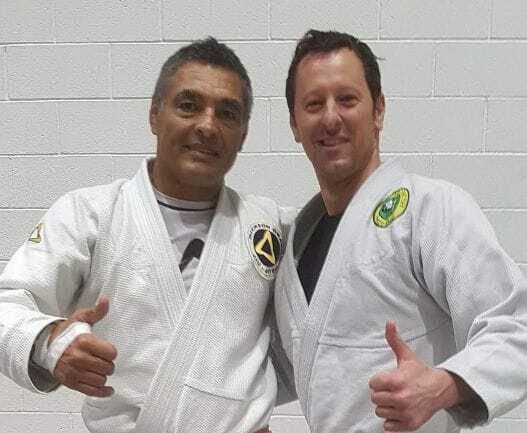 BJJ exploded in the 1990's when Royce Gracie won the first Ultimate Fighting Championship (UFC) in 1993 and Rickson Gracie had success in the Pride Fighting Championships in Japan in the early 1990's. Together with the interest in Kickboxing and ground skills from BJJ by the late 1990's, the sport of Mixed Martial Arts exploded with popularity around the world. 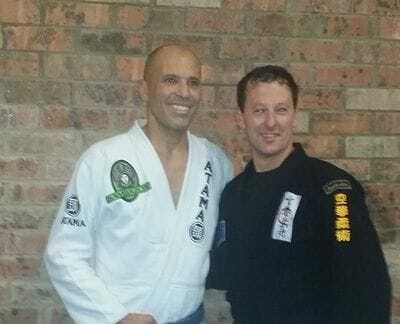 The first Black Belt in Australia was Professor John Will who received his Black Belt from the Machado brothers Rigan and Jean Jaques in 1998. He is one of the 'BJJ Dirty Dozen', the first twelve non-Brazilian BJJ black belts in the world. 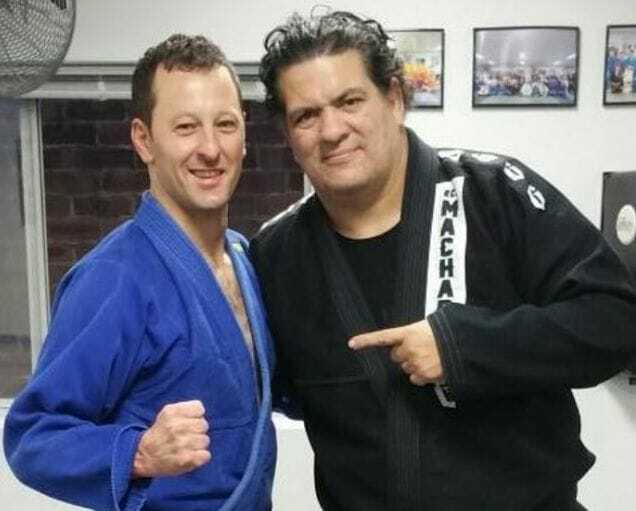 Coach Anthony Perosh followed soon after receiving his Black Belt from Carlos Machado in 2003. Following this Perosh pioneered Mixed Martial Arts in Australia. Brazilian Jiu Jitsu first opened in South Korea in 2004 and together with Gongkwon Yusul and evolving Hapkido schools, the mixed martial art scene continues to grow throughout the country and around the rest of the world today. GIANT Instructors with Coach Perosh.